Cure For Boredom: 39 weeks?! Hello, and welcome to baby watch! No, it's not the Great Kate Wait, but I have been receiving my fair share of phone calls and messages from friends curious as to how I'm feeling, doing, up to. Only a few have come right out and asked, "so, any baby yet? 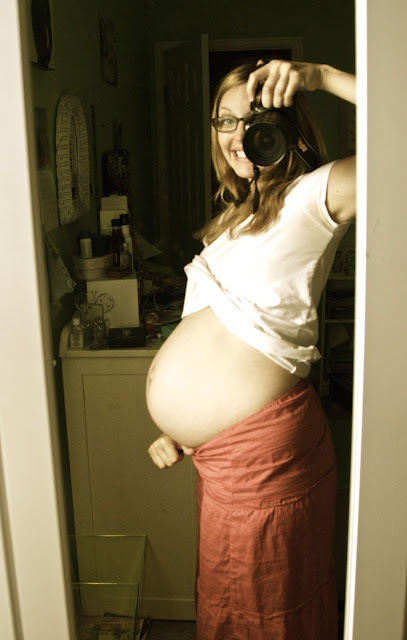 ", because I think most ladies this pregnant emit some low-frequency vibe that warns others against asking. I admit, I have been a little cranky. The kids have been feeling off lately, and while I usually weather those storms with a minimum of snapping and exasperating, my patience stores are running low. I am sensitive, aware that many people are waiting for baby news, and this makes me feel a little like I'm responsible for not disappointing people. I know that's not the case, and I think today I have returned to a more calm, accepting place. This baby has been a surprise, and given me a gamut of surprises from day one. It really shouldn't shock me that his or her exit is anything but unconventional. He or she has been teaching me that I am not in control, and that I don't need to be. I have a very good feeling this baby is to be born with a pretty hilarious personality all programmed in, ready to entertain me. 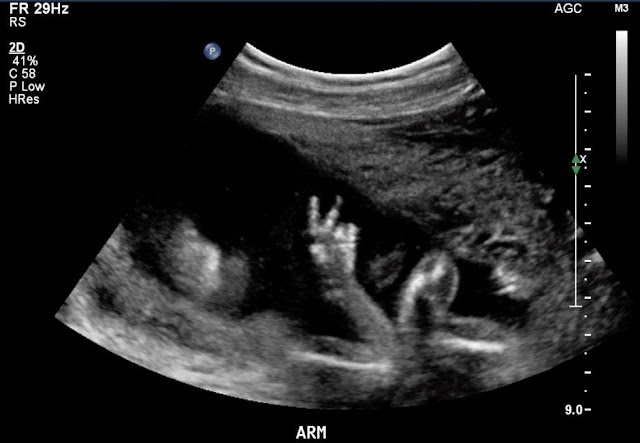 At 20 weeks, this baby was throwing up deuces, proving its hilarity. Speaking of entertaining, my friends threw me a surprise baby shower at Nectar Fine Teas this past weekend. I was so touched, truly. This baby has largely been regarded as an addition, a part of a big family, but rarely has it been treated as the special, unique being it will become. I have felt very protective of him/her, because there has been a lot of presumption we want a boy (I feel absolutely neutral on this), and I feel for the poor baby being born with expectations or any lack of fanfare. 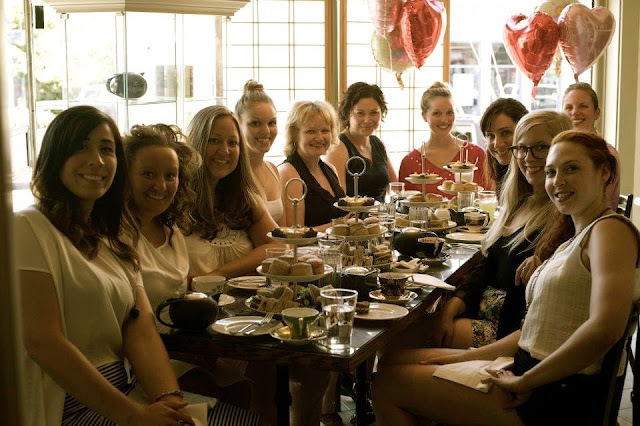 So this shower, thrown by my Ottawa friends and visiting Yukon friends, was a really quaint, special gesture to assure me that this baby is already very loved, anticipated and celebrated. Thank you, friends! It's totally a boy (not that it really matters!) - only a boy would be so lazy and keep hibernating in mama's belly! Congratulations - #4 should be equally celebrated as #1! !